At the heart of Barossa culture, is the tradition of Lutheran migrants who were invited by the British Crown, to flee persecution in the old world and populate the new colony of South Australia. 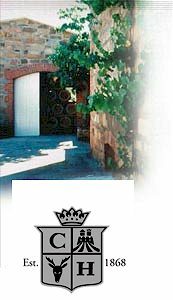 Johann Christian Henschke arrived in the 1840s, acquiring property at Krondorf and planting vines, he sold his first vintage in 1868. The Henschkes of today own and operate some of the most distinguished vineyards in Australia, they know the best Barossa growers well and source the most exquisite parcels of Shiraz every year for inclusion into Tappa Pass. No other wine in the world could manage such a monumental debut as the stately Tappa Pass Shiraz. Henschke work at the top of their form, to infuse every bottle with the unique energy of historic Barossa vineyards. The very old, low yielding vines are grown mostly to low fertility Neoproterozoic soils more than 542 million years old, ranging from red brown earths to Terra rossa. The fully ripe black Shiraz grapes are sourced from grower owned vineyards in the Tappa and Light Passes, earmarked by Henschke and vinified in traditional open top fermenters. Upon completion, components are treated to an extended maturation in a combination of seasoned and new French oak hogsheads. Deep crimson colour. Lifted, sweet aromas of blueberries, blackberry, plums and anise with hints of tar, roast meat and vanillin oak. The palate is sweet, ripe and concentrated with layers of blue fruits and velvety tannins. Lush and complex with excellent depth, length and elegance. A complex, concentrated palate of sweet, ripe, lush black berry fruits and bitter chocolate with a long, elegant velvety finish.